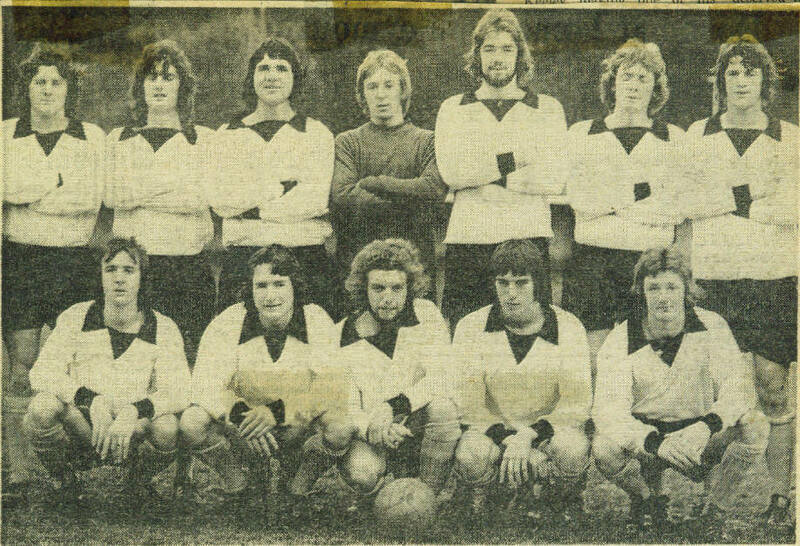 Dover Reserves pictured before the Kent League match against Herne Bay on Saturday, 10th.January, 1976. Dave Clay scored our goal in a 1-1 draw. Back row (left to right): Keith Thwaites, Martyn White, Dave Clay, Kevin Gilchrist, Paul Smith, Martin Cakebread, Roger Farrier. Front row (left to right): Bryn Lloyd, Micky Jowett, trevor Ellse, Gary Virtue, and Colin Cox.